In The Aluminum Warehouse, you’ll find thousands of high quality aluminum profiles that are in-stock and ready to be delivered to you. If you are looking for extruded profiles for mirrored walls, store perimeters, furniture, displays, showcases and slat wall panels – look no further! From aluminum angles and corners to slot wall and ticket moulding, you’ll find the extrusions you need in a wide variety of finishes, including polished, brushed, painted and anodized aluminum. Looking for something other than what we have in-stock? Luckily, one of our super-abilities is to work with you in creating custom shapes to meet your exact requirements. With Extrude-A-Trim, you can always expect us to have extensive knowledge of our products, present you with exceptional customer service, and provide quality workmanship. To top it all off, our express delivery service is super fast. Request a quote online, or call us to get started today. 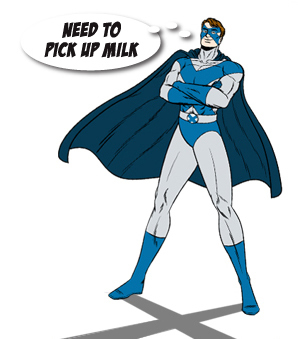 We are eager to be your store fixture super heroes.